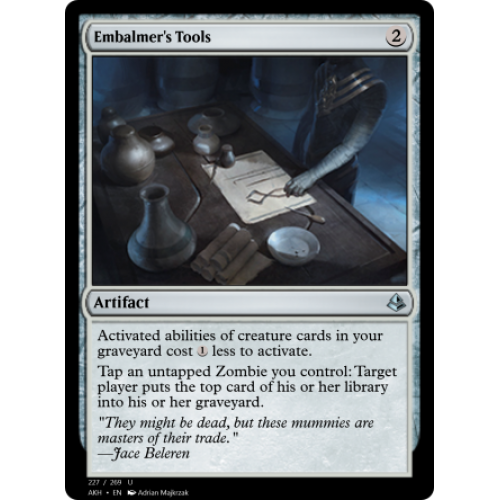 Activated abilities of creature cards in your graveyard cost less to activate. Tap an untapped Zombie you control: Target player puts the top card of their library into their graveyard. 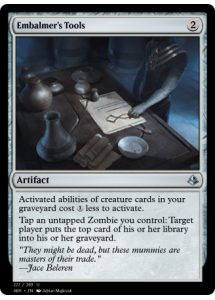 "They might be dead, but these mummies are masters of their trade."